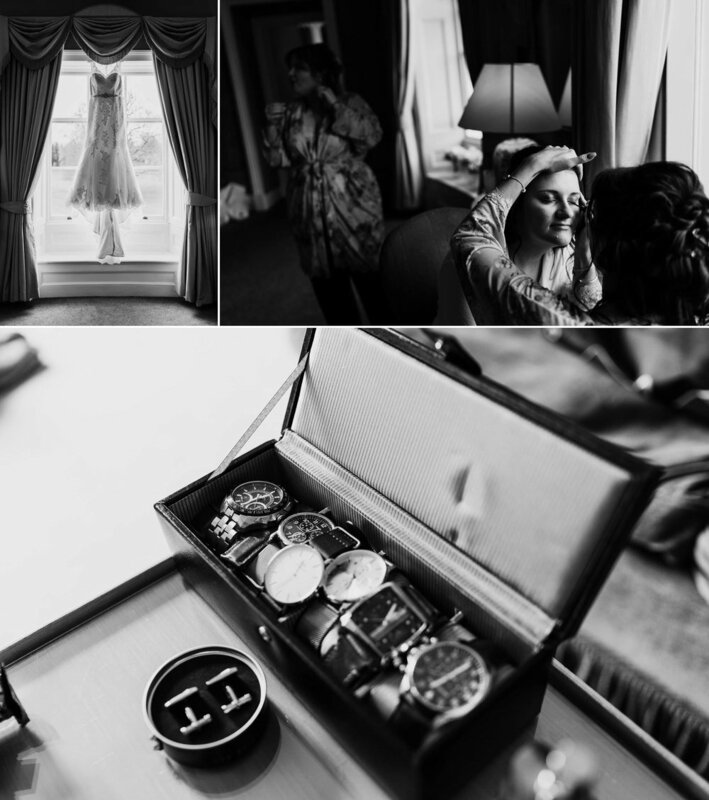 At the start of April I made my way over to Stubton Hall in Nottinghamshire to photograph Scott & Holly's beautiful wedding day. 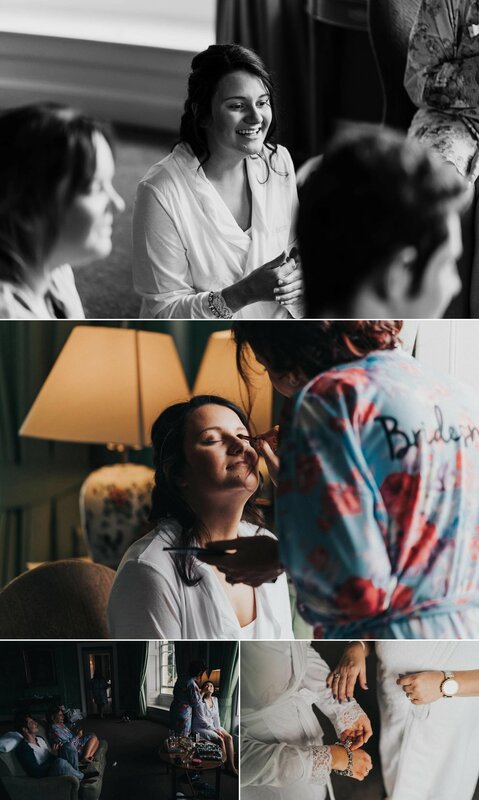 The couple both chose to get ready at Stubton Hall, which meant I could easily hop between the rooms to get the bride and groom preparation images. Both sides of the wedding party seemed so relaxed. The lovely atmosphere really set the tone for the rest of the day. 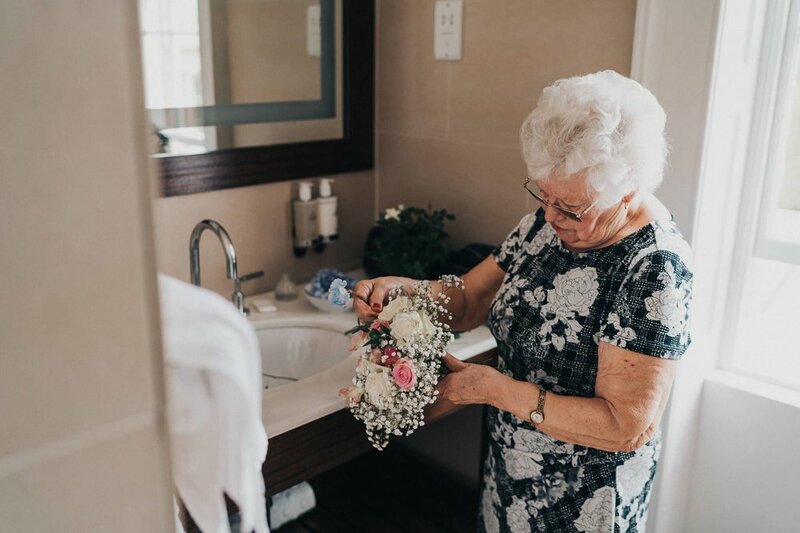 I even had the time to visit Holly's Nan who was doing the floristry for the wedding. 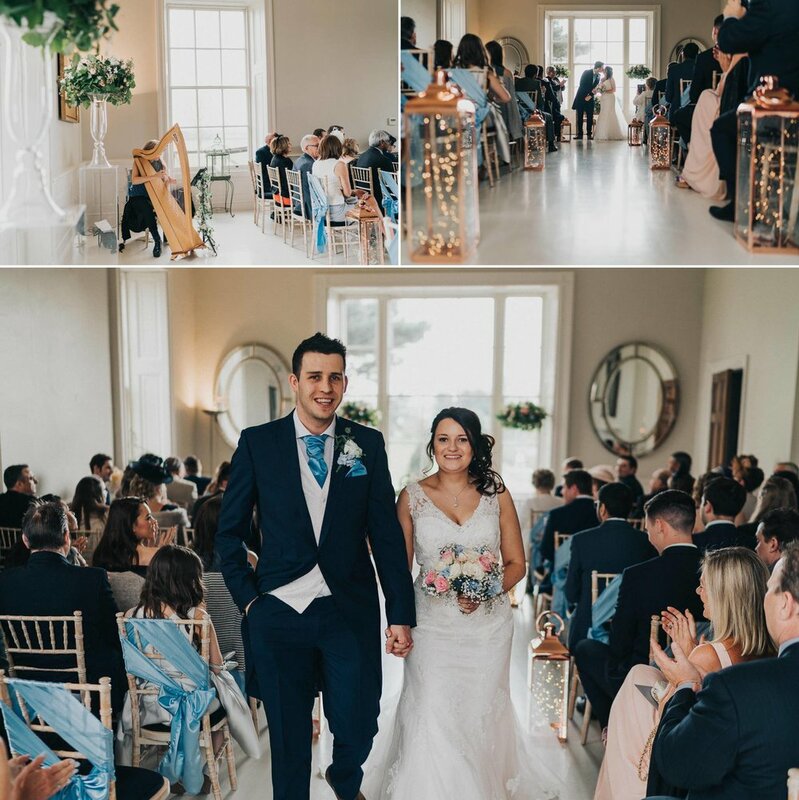 The weather was fantastic, so after the ceremony everyone headed out onto the terrace overlooking the pool at the back of the house for drinks and illusion magic courtesy of Slightly Unusual. Even after photographing the tricks I still have no idea how they're done! 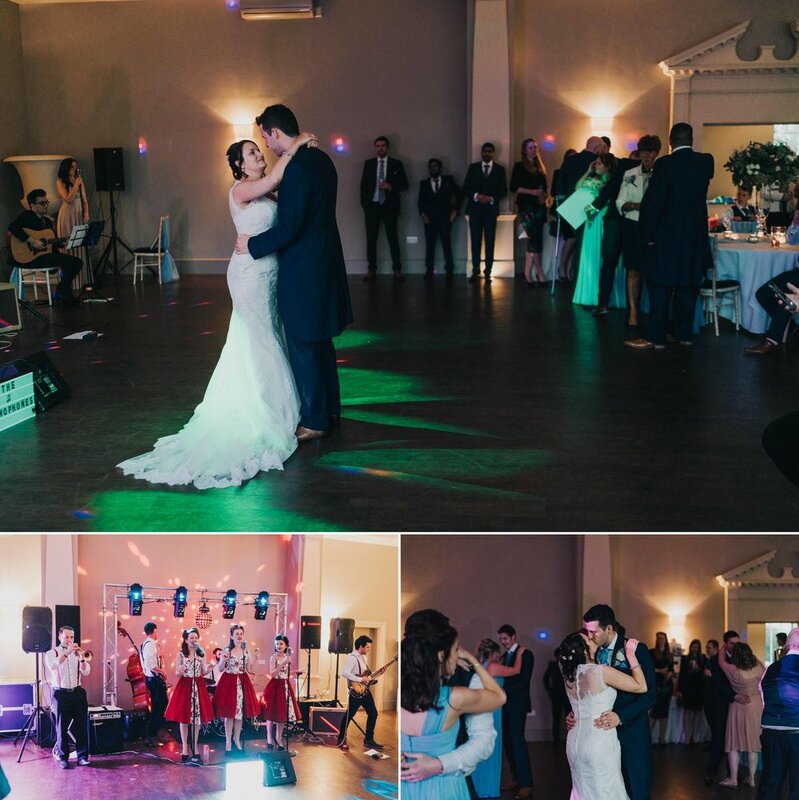 The wedding breakfast and speeches took place in the Orangery at Stubton Hall. Guests were treated to performances by Something Acoustic and the Glamophones during the meal. After the speeches I headed out to the lake with Scott & Holly to take some portraits, with the help of a few smoke bombs! Soon after that the evening celebrations started in earnest, back in the Orangery. I stayed up until the sun had set, when we all headed back outside for a few sparkler shots and some last minute portraits, making good use of the crystal clear nighttime skies. Scott & Holly were such a happy couple to work with, and I wish them both all the very best for their future together.